Passenger Pigeons, engraved from a painting by John James Audubon in Pennsylvania, 1824. 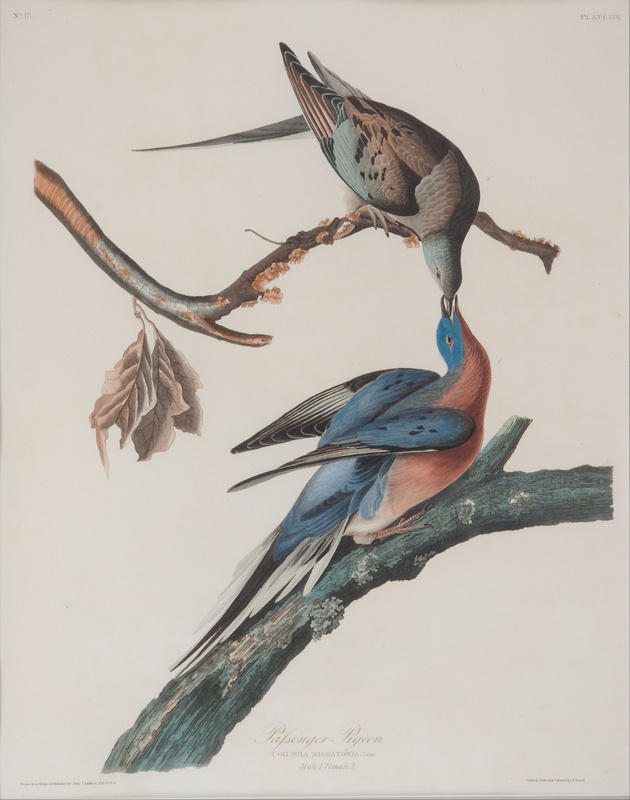 When Audubon painted this pair of Passenger Pigeons in 1824 they numbered in the billions. Market hunting and habitat destructiom in the 1800s, however, drove them into extinction. Martha, the world's last known Passenger Pigeon, died on September 1, 1914, at the Cincinnati Zoo.